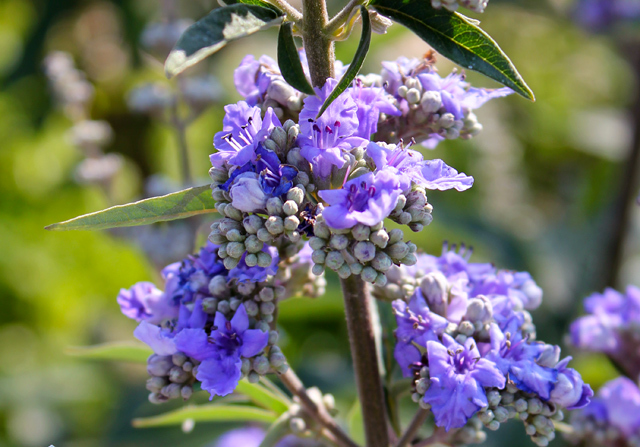 Using vitex to support chastity is a large part of vitex’s rich cultural history, so much so that “chasteberry” and “monk’s pepper” are this plant’s common names. Traditionally, vitex has been used to decrease the libido in both men and women. Vitex has a strong ability to regulate the luteal phase of the menstrual cycle. The luteal phase of the menstrual cycle is the second half of the cycle that begins with ovulation and ends with menstruation. A variety of women’s health conditions can occur when the luteal phase is abnormal. Vitex indirectly lengthens the luteal phase by acting on the hypothalamus in the brain. Vitex is understood to increase the secretion of lutenizing hormone (LH) while holding back the release of follicle stimulating hormone (FSH). This results in higher progesterone levels in the body. When snotty pants PMS lady pisses off Miss Luteal Phase, you happen to experience the uncomfortable results of their tiff: moodiness, bloating, breast pain, and food cravings (just to name a few). 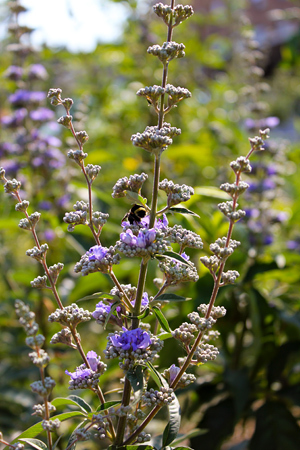 Vitex is the herb that keeps snotty pants PMS lady away, and it may even keep her away for good. A decent body of research exists that shows the effectiveness of vitex in treating the symptoms of PMS. Most research indicates that vitex needs to be taken for at least 3 menstrual cycles in order to evaluate its effectiveness. 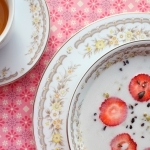 In lower doses, vitex can increase the milk supply. In higher doses, vitex can inhibit lactation. Vitex influences the pituitary gland to secrete dopamine, otherwise known as prolactin inhibiting factor. In some instances where prolactin levels are abnormally elevated, vitex may help bring them down. Vitex can be effective for treating infertility, particularly if the infertility is due to low progesterone levels. It can also be effective for uterine fibroids, perimenopausal symptoms, endometriosis, polycystic ovarian syndrome, and secondary amenorrhea. Vitex is especially helpful for regulating the cycle after coming off birth control pills. Avoid long term use during lactation. Use cautiously in pregnancy. Some sources say to avoid in pregnancy. Do not use in conjunction with hormone replacement therapy or oral contraceptives. If you are taking antipsychotic medication, any medication that affects dopamine, or metoclopramide, do not take vitex. If you would like to start taking Vitex agnus castus, please consult your naturopathic doctor. A licensed healthcare practitioner can safely tailor the dose according to your needs. 1. Hoffman, David. Medical Herbalism: The Science and Practice of Herbal Medicine. Healing Arts Press, 2003. 2. Hudson, Tori. Women’s Encylopedia of Natural Medicine. McGraw Hill, 2008. 4. Powell, Dirk. 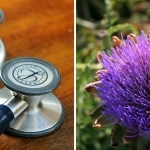 Endocrinology & Naturopathic Therapies. Ninth Edition. 2010. 5. Kingsbury, Sheila. Botanical Medicine III. Guest Lecture on Botanical Medicines Used in Pregnancy and Lactation. Winter 2008.